John Paulson is bullish on the US economy, expecting continued growth. He wrote, “We believe the U.S. economy is recovering, and we anticipate continued growth,” in his 2010 year-end letter to investors. 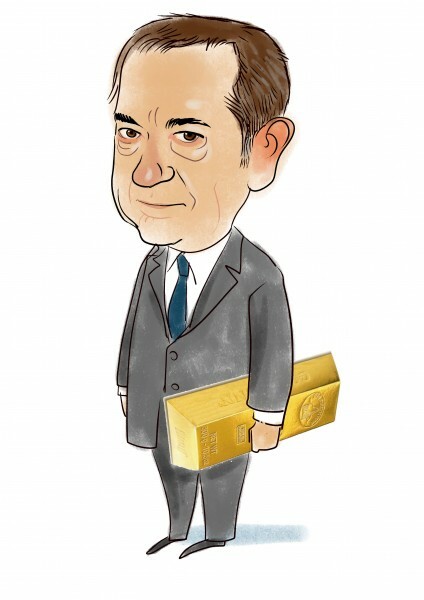 John Paulson’s most significant bet is on inflation. He has various long positions in gold. He also has significant investments in financial companies. In his latest 13F filing, Paulson reported 41 million shares of Anglogold Ashanti (AU), currently valued at $1.8 Billion. He had $390 Million of Gold Fields Ltd. (GFI), $550 Million worth of Kinross Gold Corporation (KGC), $260 Million of Novagold Resources Inc (NG), $40 Million of Randgold Resources (GOLD), and $20 Million of Barrick Gold Corp. (ABX). He also had $4.1 Billion of SPDR Gold Trust (GLD). GLD gained 1.9% since the end of September. What really earned John Paulson another billion dollars during the last 3 months of 2010 was his financial stocks. He had $2 Billion worth of Bank of America (BAC) investments at the end of September. BAC gained 6.3% since then. His $650 Million long position at Capital One Financial (COF) returned 22.7%, bringing in more dollars than BAC. His other largest financial holding was Citigroup (C), which gained 24.3% since September. Citigroup contributed $400 Million in gains. His billion dollar Hartford Financial (HIG) position brought in more than $210 Million since September. His $760 Million Suntrust Banks (STI) position returned 12.5% and his $390 Million Wells Fargo (WFC) position gained the most at 30.4%. In his investor letter, John Paulson has been bragging about how he made $1 Billion from his Citigroup investments since the middle of 2009. This is a perfect example of cherry picking. In 2009, John Paulson was touting Bank of America as a stock with the potential to reach $30 per share. In a letter to his investors, Paulson predicted that Bank of America may rise to almost $30 by December 2011. Bank of America was trading above $15.50 back then. Today, it is below $14. It’s clear to us that John Paulson is not a great stock picker. His strength is in macro-themed investments. He doesn’t pick a single or a couple of stocks from a sector. He picks a bunch of stocks from each sector in which he invests. Check out the list of his gold investments- he has 7 different positions. We listed 6 different financial stocks in his portfolio. We left out several smaller financial longs, such as CIT Group (CIT), First Horizon National (FHN) and JP Morgan (JPM). The Yahoo! Finance chart below shows that his Citigroup pick performed spectacularly since the middle of 2009. However, his biggest position, BAC, really lagged the bunch and other picks returned less than the S&P 500 index. John Paulson is making billions but it’s not because he’s a great stock picker. That’s why we don’t imitate his long picks.